Intrepid Boats, another builder of center-console sportfishing boats, has a long history with government projects. It built a Special Ops boat for the U.S. Air Force to use at a Florida airbase, and a stealthy craft it is. Totally flat black from top to bottom, it is nearly invisible at night, which is exactly what the Air Force wanted. Just as eerie is the 30-foot Intrepid built to guard a ship full of plutonium in Asia, but there are no details on whether that Intrepid was equipped with radiation shields. 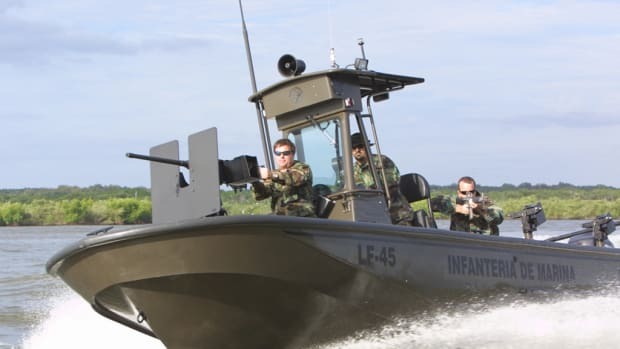 The 30-foot Intrepid 300 Center Console has been popular with U.S. Customs and Border Protection, which has ordered many of the twin-outboard boats, while sheriffs and police pick sizes to fit their needs. In Florida, the Hillsborough County Sheriff’s Department has two of the 400 Intrepids, both emblazoned with the American flag and a bald eagle on the bow. 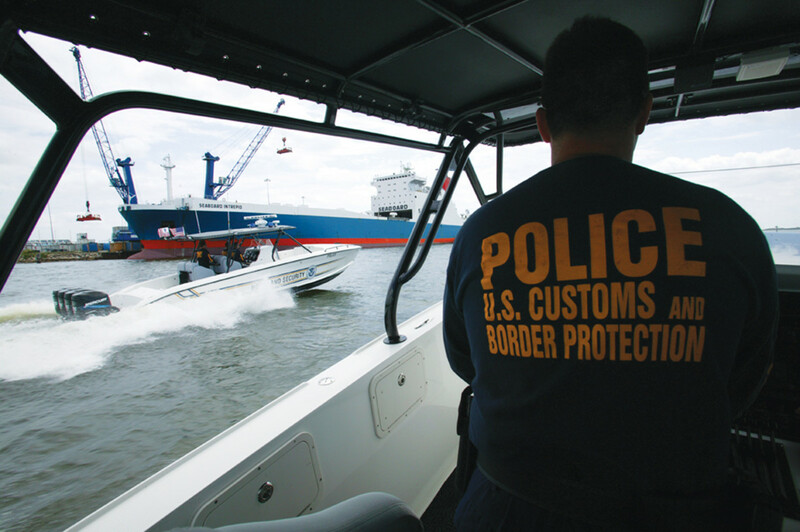 Intended to patrol the growing port of Tampa, they are equipped with—get this—nuclear, chemical, biological, radiological, and explosive detection capabilities. According to the sheriff’s office, they easily handle 8-foot seas. And these boats get used. A 1995 Hillsborough Intrepid was the first the company built with a side dive door, and that boat has gone through 30 sets of engines in its lifetime. That’s three zero. That’s a whole lot of hours on the water! And, no, you still can’t order the flashers and siren. We asked.